I will never forget meeting Joanna Gaston. We were selling pop-in-greetings at a local Nashville market. She came to our booth and it felt as if she brought this huge burst of sunshine with her. As she so kindly gushed about loving our cards, I remember thinking… wow, how did she know I was needing that bit of encouragement right this second? She’s making me feel like we can take over the world! Much like her product, The Kind Cake, Joanna herself is a gentle reminder of the power of kindness. Not only does each cake taste amazing, but look on the bottom of each one and find a sticker with a little reminder to perform an act of kindness. You’d also never guess they are egg, dairy, gluten, soy & nut free. It might make you ask what IS in them but after one bite you won’t care. They are perfect for my little family who has to be egg, dairy & gluten free because of various food allergies. Only whole, nutritious ingredients and baked with love. 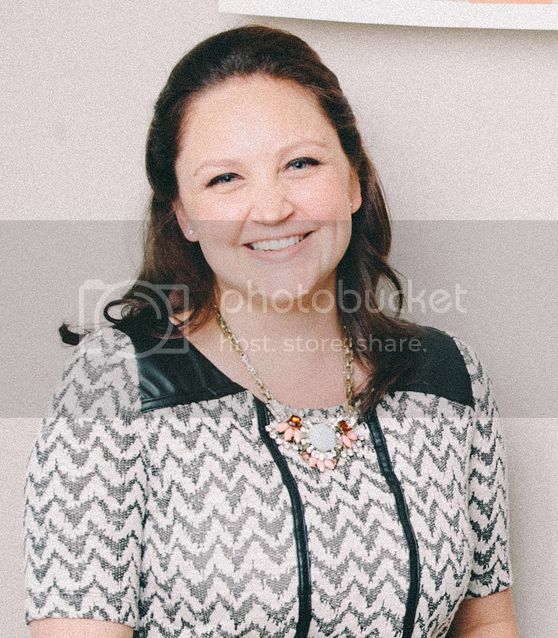 A big thanks to Joanna for participating in our interview this week. 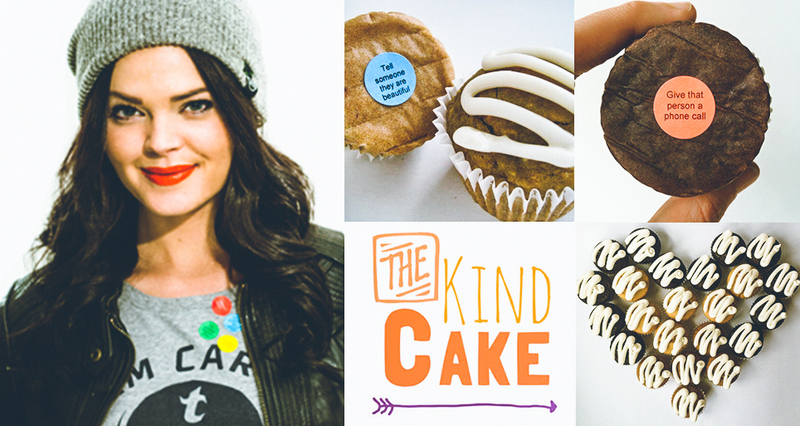 If you’re interested in seeing more about Joanna and The Kind Cake go to http://www.thekindcake.com/, her Instagram or on Facebook. I originally moved here for songwriting (shocker) but the tug at my heart to pursue a venture with The Kind Cake couldn’t be ignored. Oh, I knew I was going to Broadway. In my mind, I was already there on stage performing. I was OBSESSED with Andrew Lloyd Webber’s work when I was about 6 or 7 years old and have been a big fan of Broadway since. Whatever it is that scares you, freaks you out, makes you feel uncomfortable…DO IT. I feel that is when you’ll reap the biggest reward and probably learn a lot about yourself in the process. 4) What’s made you want to bake on a larger scale, other than for yourself or your loved ones? Knowing there is a need for a product like mine gets me out of the bed every single morning. I’m a problem solver and providing baked goods free of the top eight food allergens that are still delicious is, to me, solving a problem. Plus, I love cooking, baking and serving others so it’s a “win-win” for me. 5) What’s your favorite flavor? That’s like asking a parent who’s the favorite child!! I will say this: I have never been a big vanilla cake fan, but my vanilla cupcakes are turning me into one. I’m so torn because they are all ridiculously delish. 6) Who do you admire most? I can’t say I have one specific person in mind because I like taking admirable aspects of several entrepreneurs’ character. I really appreciate Costco’s dynasty of selfless CEOs. Jim Sinegal, before passing the torch, drew a modest salary, paid his employees 42% more than the industry standard, and played an integral role in the company’s ability to withstand a devastating recession, not laying off one employee during it. Now that’s admirable. 7) What’s the hardest part of owning a small business? Being everything to everyone can be a little exhausting. I’m the baker, the delivery driver, the PR specialist, the social media intern, the janitor (you get the picture). 8) Where did your idea come from, to put a little bit of kindness at the bottom of each wrapper? It was completely ordained. I felt like the ideas were more given to me than them being the result of any creative effort. My roommates were with me when it happened and it happened fast. I was eating what was left of the first batch of cupcakes that fit the profile for what is now The Kind Cake, and it hit me. I had never experienced anything like it. First, it was the idea to start doing this for a living, then boom – the idea for the company name. Really, the foundation was laid when the name came to me; after that it was about filling in the blanks with things that matter, like being good and kind to others and incorporating those things into a business model. 9) What was your last concert? I went to see Walk The Moon at Marathon Music Works in Nashville and they were freaking outstanding. 10) What’s one thing no one would expect about you? I’m really good at basketball. In college I would play pick up ball with a bunch of guys at the gym. One day a girl who was a really good ball player asked me if I was on the team at the University of Southern Mississippi. I will never forget that moment; I felt so validated, haha! !